I have been using the Hague Clamps for years on the buggy, and have recent added to my first SC1 clamp with the SC2, I am now able to choose from 100s of camera angles on my buggy, with the added securtiy knowing my camera is securely held in place with the Cameragrip. This entry was posted on Saturday, May 19th, 2012 at 2:54 pm. 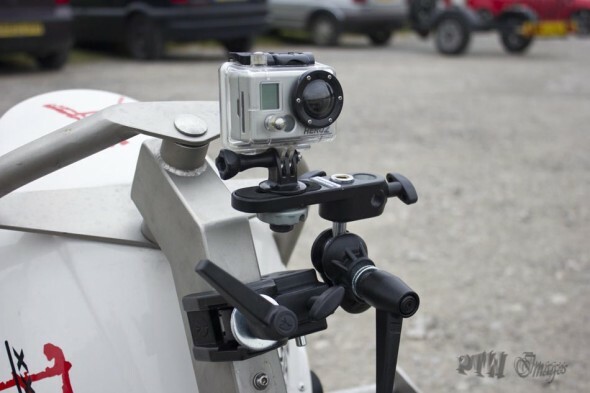 It is filed under Camera Mounts, Hague Cameragrip, Photos, Video and tagged with Hague careragrip. You can follow any responses to this entry through the RSS 2.0 feed.